A dedicated fan of The Legend of Zelda: Ocarina of Time has spent the past few years working on a remake of the classic title in Unreal Engine 4. He recently released a demo of the first village and dungeon, and the results are stunning. The fan, known as CryZENx, has said that he will continue working on the project throughout 2019. Whenever you see a list of the greatest video games of all time, Nintendo’s The Legend of Zelda: Ocarina of Time is usually near the top. It shouldn’t come as any surprise, then, that the Nintendo 64 title has a rabid fanbase. One dedicated fan is even going so far as to remake the entire game using Unreal Engine 4, and the initial results are impressive. YouTuber CryZENx recently released a demo of his work on the remaster so far. The 24-minute video follows Link through the opening stage (Kokiri Forest) and through the first dungeon (The Great Deku Tree). The remake takes full advantage of all the advanced tech in Unreal Engine 4, including light shading and realistic hair physics. The Legend of Zelda: Ocarina of Time got an official 3D remake for the 3DS back in 2011. While that brought a much-needed overhaul to Ocarina’s graphics, the release still looked aged due to the limitations of the 3DS. The original Ocarina was also made available on the Wii and Wii U, but the low-poly models look pretty bad, especially when scaled to 720p or higher. 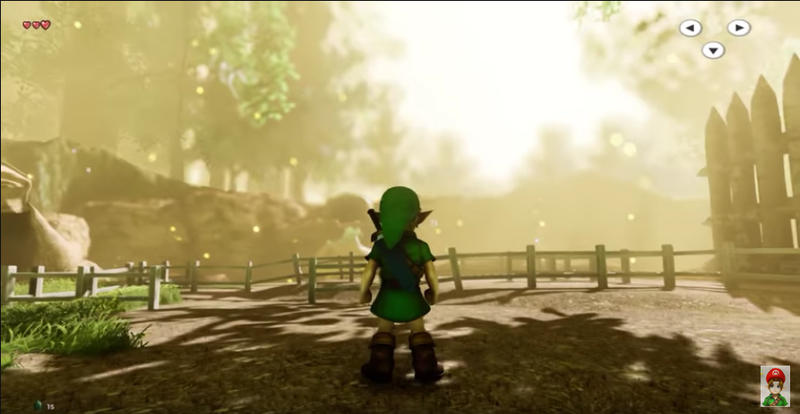 CryZENx’s UE4 remaster of Ocarina is, obviously, unofficial. As such, Nintendo could put the kibosh on the project with a cease and desist at any time. Still, the project looks promising. CryZENx has said that he will “continue the storyline” in 2019.